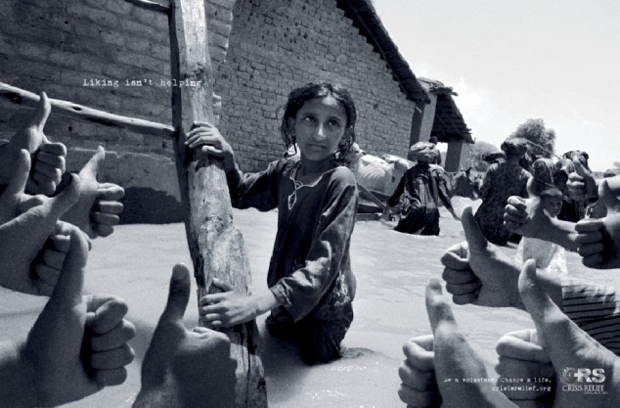 A recent ad campaign for Singapore charity, Crisis Relief Singapore, confronts the idea of ‘Facebook philanthropy,’ reminding us that ‘liking’ or ‘sharing’ issues of world crisis on Facebook isn’t nearly enough. 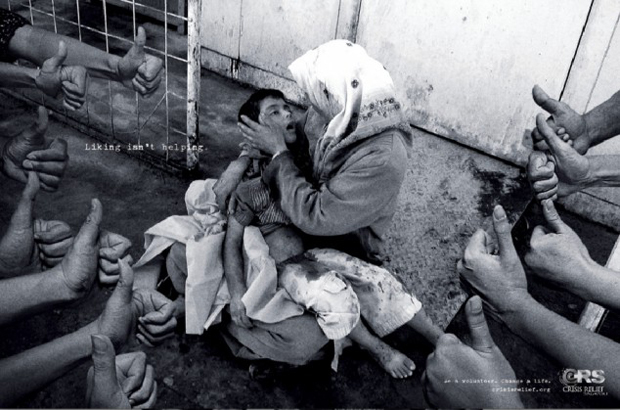 The ads show heartbreaking images encircled by a slew of thumbs up signs—the irony here quite powerful—and read, “Liking isn’t helping. Be a volunteer. 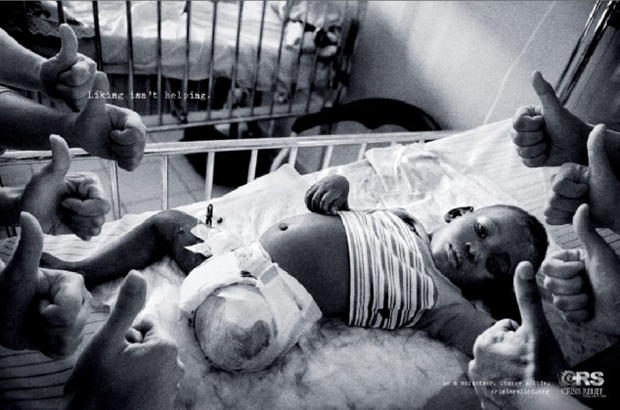 Change a life.” A refreshing and bold message, these ads are a call to action, encouraging us to get out from behind the screen if we want to make a difference. Feature Shoot Has a New Podcast! Get some visual inspiration into your day! Expert advice from photo industry professionals every Friday + get our guide to mastering Instagram (for FREE)! Yes, I want to receive the Feature Shoot newsletter.